Welcome to Whole Blossoms Press Center. 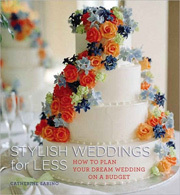 Your resource for flower trends, updates, current flower news and showcase of Whole Blossoms products on TV programs, wedding flower website and books. For press inquiries, please contact Wholeblossoms at 1-877-WOW-BLOOMS and choose the Marketing option to speak to a specialist. 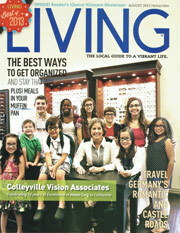 Featured as a fresh cut supplier of lavender flowers, WholeBlossoms is honored to have been mentioned in Living Magazine. As the article discusses, lavender has been prized for centuries and was a favorite of Queen Victoria. Today, lavender is favored for its medicinal properties and soothing aroma. Over 30 varieties of lavender are cultivated and any one can be enjoyed fresh or dried for everlasting use in bouquets, satches and wreaths. For fresh cut lavender that is generally available throughout the year, be sure to check our bulk lavender offering. Fresh cut flowers were graciously donated by WholeBlossoms and featured on the Heaven & Earth Bride episode of My Fair Wedding with David Tutera which aired on October 1, 2012. Rose, hydrangeas, baby's breath, and peonies were used to make the gorgeous floral arrangements used for Melanie's and Dominic's extravagant weddng. 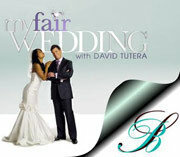 For a preview and recap of the episode, see My Fair Wedding Preview with WholeBlossoms and WE tv. My Fair Wedding with David Tutera featured over 200 premium yellow mini calla lilies, 400 coral peonies, 700 ivory, pink and peach garden roses, and greens from Whole Blossoms. 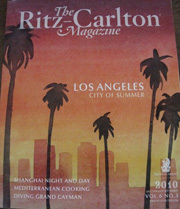 Over 1500 premium fresh cut wholesale flowers were shipped to Los Angeles, California in June 2011 to film the episode “APRIL IN PARIS.” Whole Blossoms also attended the red carpet Season 5 Premiere of WE tv’s “My Fair Wedding With David Tutera” on Tuesday, October 25, 2011. 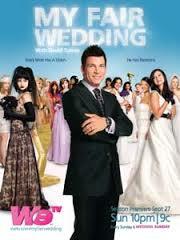 WholeBlossoms is excited to announce its participation in the 2nd Episode of Wedding Wars that will air on VH1 on March 21st at 9/8c. 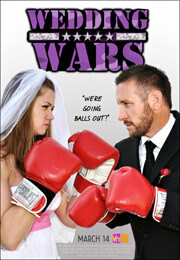 WholeBlossoms gave away over $10,000 in flowers and awards for the production of Wedding Wars. The winning couple of the flower challenge will receive $5,000 in wholesale flowers and florists service of their choice from WholeBlossoms for their wedding in 2012. Feature of Whole Blossoms Dark Blue Tinted Hydrangeas on the Extreme Makeover Edition in Austin Texas.Did you see the blue hydrangeas showcased in the background of the wedding from the Extreme Makeover Home Edition showed on Feb 20, 2011? did you like them? These hydrangeas where purchased from Wholeblossoms.com and you can have them too at your wedding! Mix Spider Mums with Roses. In season, add Hydrangea to the Spider Mums and Spray Roses. LESS EXPENSIVE PEONIES SUBSTUTES want the Peony look without the cost? Sandra Pineda of WholeBlossoms.com recommends the following garden roses: Agnes Schillinger, Althea, Antique Romantica, Baby Romantica, Baby Candy Romantica, Carmeline, Mistinguett. ANOTHER FLORIST FAVORITE FOR A SUBSTITUTE the David Austin Peony Rose Pink Phoebe." In an article on do-it-yourself-weddings.com, tips on making wedding flowers wholesale and ordering wedding flowers in bulk online, Roses from Whole Blossoms were tested. "I would absolutely recommend Whole Blossoms as your supplier of flowers, as I was honestly impressed with how long they lasted and smelled!"